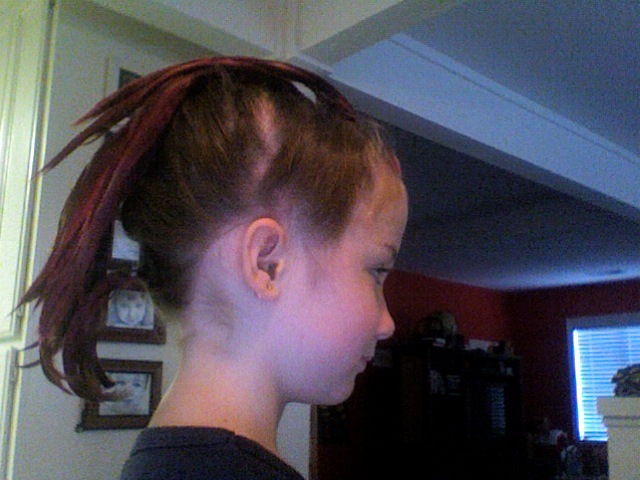 Iz's request: A bright pink "faux-hawk." Since this was taken by my flashless computer you can't tell that the 'hawk is truly neon-pink. Happy Crazy Hair Day to you, too.